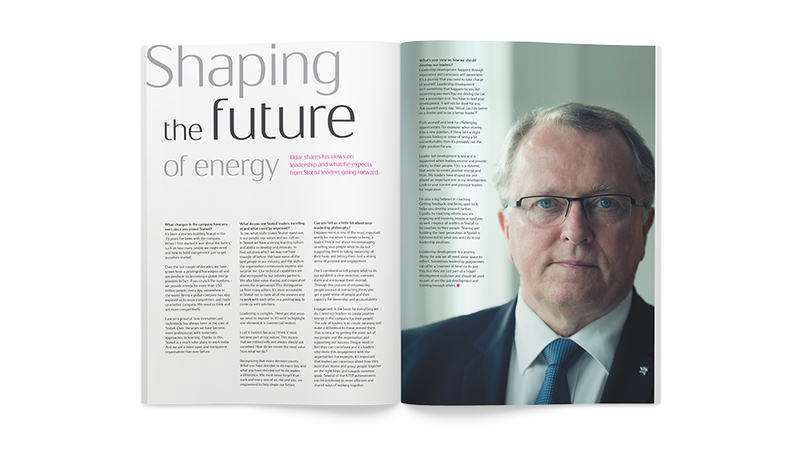 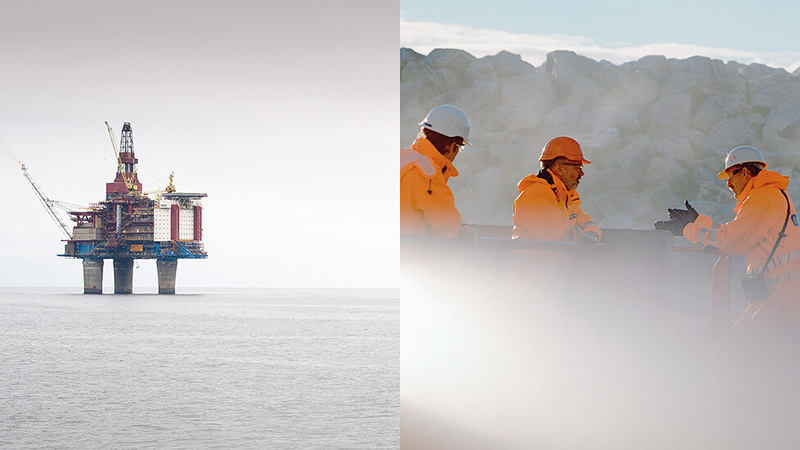 As an Oil and Gas company with more than 40 years’ experience, Statoil believes that empowering their top employees is an important part of meeting the world’s energy needs. 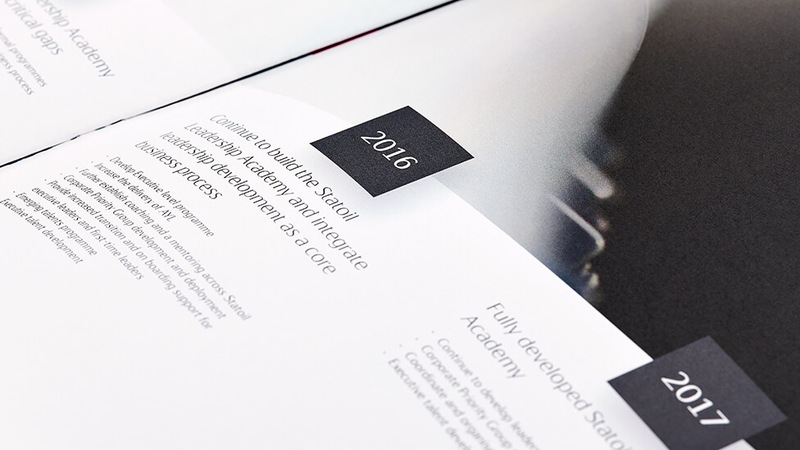 Operating across 37 countries, our client wanted to provide a resource for its senior managers that would further develop their leadership skills and unite employees behind a single strategic vision. 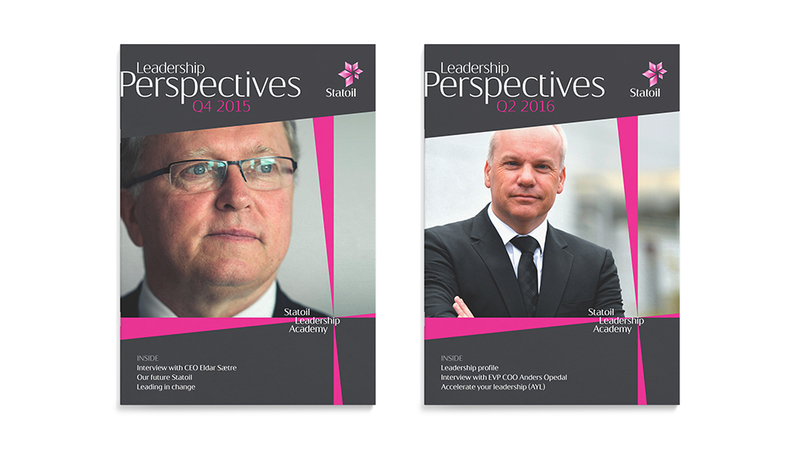 To breathe new life into its Leadership Perspectives newsletter, we needed to create an identity that would fit with the company’s existing brand, while creating a publication that would resonate globally with an audience of senior leaders. 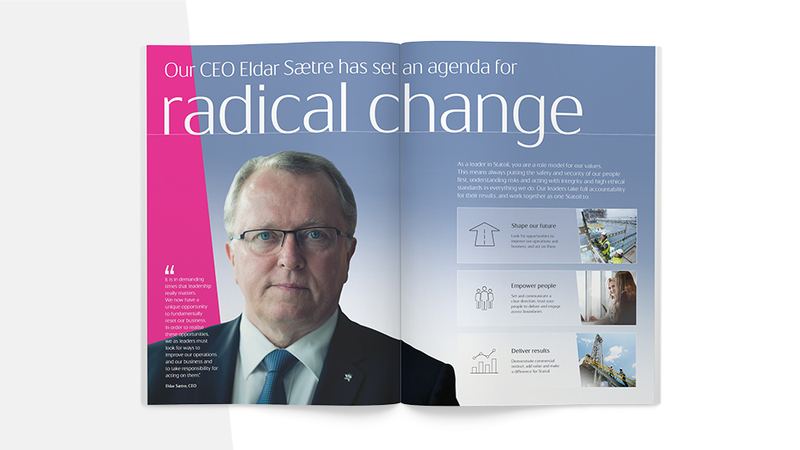 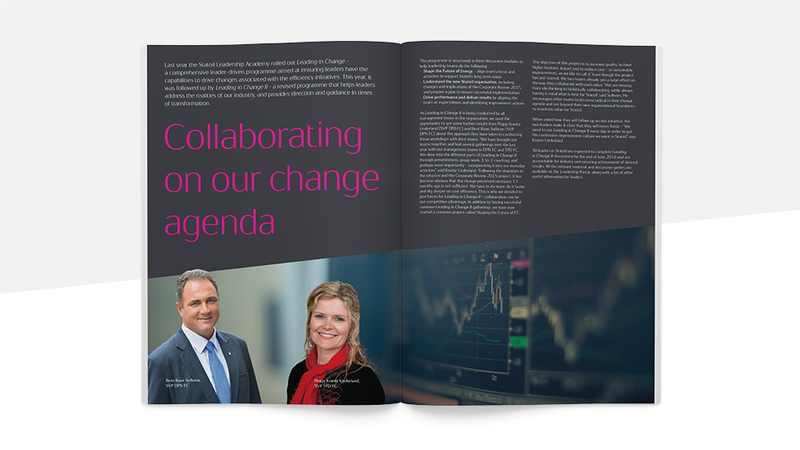 Using elements from Statoil’s existing brand, we were able to give the company newsletter a distinct identity that differentiated it from other internal materials. 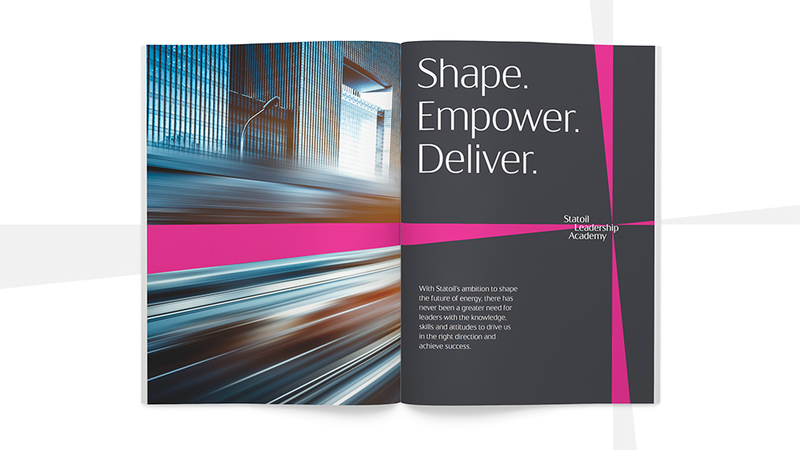 As part of a wider initiative to rebrand the company’s Leadership Academy, we rotated a six-degree angle from the client’s brand guidelines by multiples of 90 degrees to create a ribbon graphic that could be used in a variety of ways. 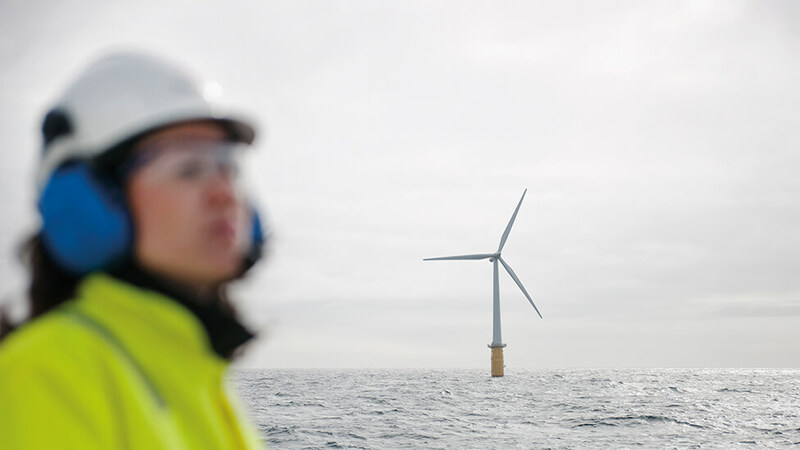 When multiplied, the device represents a focal point on the horizon that symbolises the journey senior leaders are embarking on together to achieve a common goal. 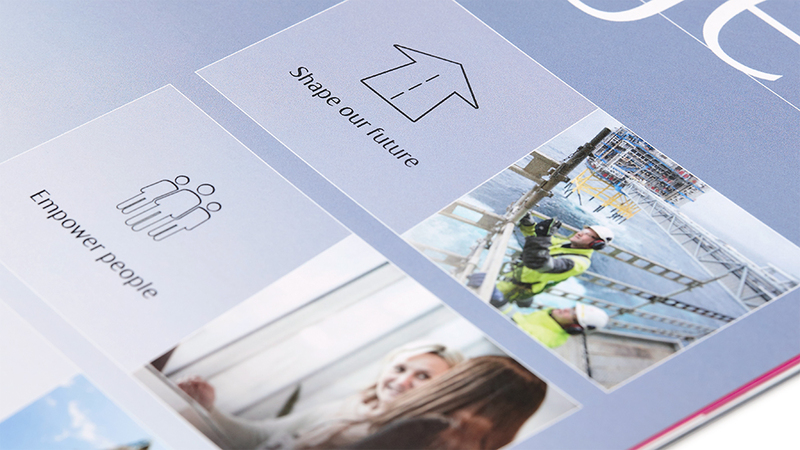 Used throughout the newsletter, the ribbon graphic helped create visual interest and break up the content in some areas, while highlighting essential information in others. 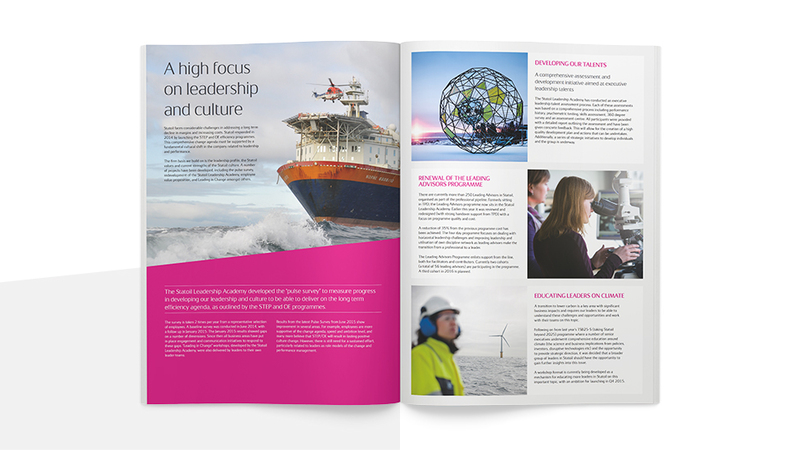 To support the content and motivate senior leaders, we developed a newsletter design that centred on images of technology and teams in action. 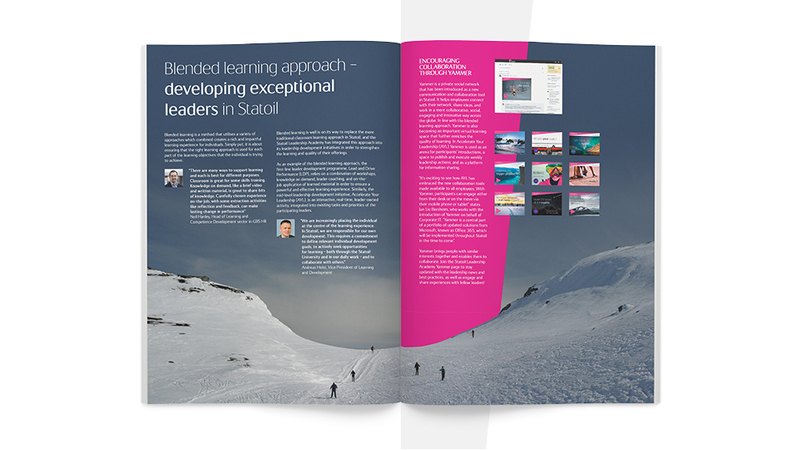 This photography-focused approach immediately attracts the attention of senior leaders by stoking their curiosity. 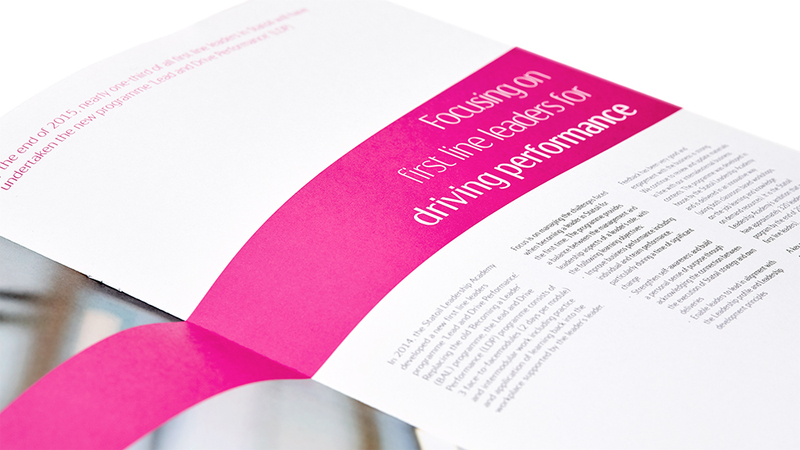 Thanks to the new design, managers were more likely to recognise and hold onto the company newsletter – either to read leadership articles at their leisure or to use as reference material. 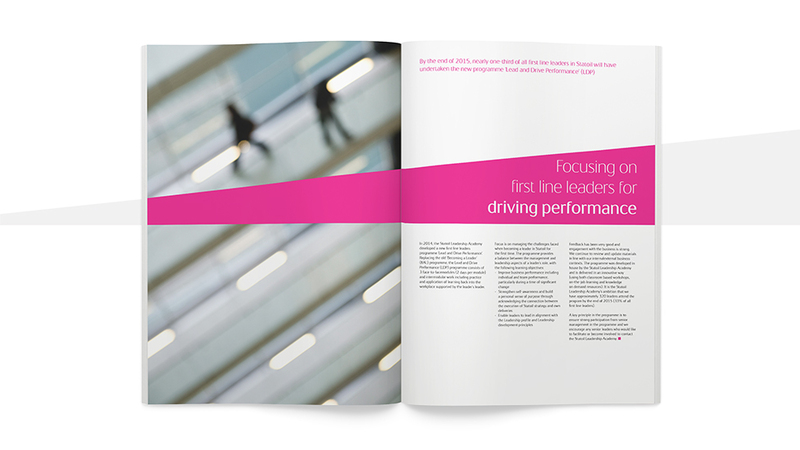 Clean, spacious feature layouts made Leadership Perspectives feel more like a magazine, adding value to the publication and encouraging readers to browse through the content. 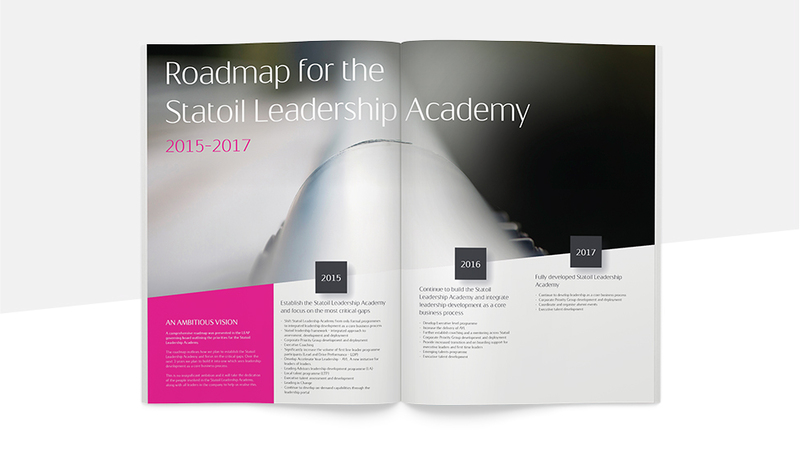 The unique ribbon branding was applied to other Leadership Academy materials, including internal Yammer postcards and a PowerPoint template. 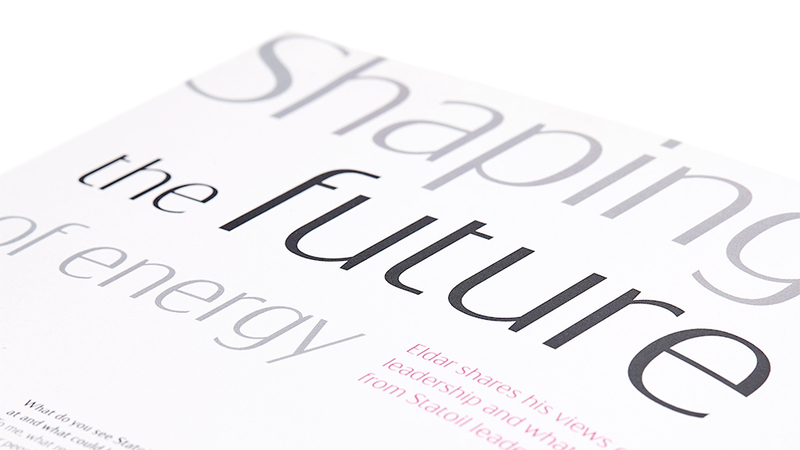 Use of FSC-certified Scandia 2000 uncoated paper maintains print quality while reinforcing the company’s sustainability commitment.